I’m glad you’ve taken the time to visit, and I hope you’ll enjoy having a look around. The picture above is one I took years ago while visiting Chaco Canyon National Historical Park at the invitation of a friend who was working for the Park Service there. 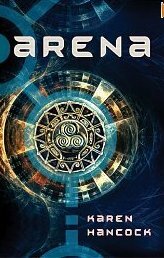 The whole place was amazing, filled with stark landscapes, windswept vistas and amazing ruins that years later provided the inspiration for the settings of several of my books, starting with my first, Arena.